6.96 sq m. 16.66 yds x 18 in (15.2 m x 457 mm). Trusted since 1947. Strong enough for your toughest situations! Line pans before cooking to help make cleanup easy. 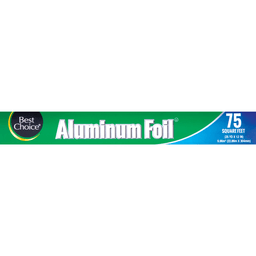 Grill in foil packets go help lock in flavor and nutrients. 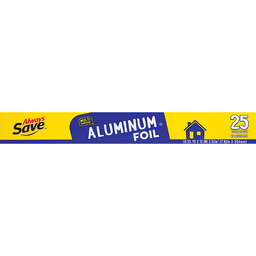 Freeze food in foil for superior protection from air to help prevent freezer burn. Tent meats prior to roasting to help keep moist and prevent over browning. Our unconditional guarantee offers complete satisfaction or your money refunded. Reynolds strength. To contact us: visit: ReynoldsKitchens.com. Call: 1-800-433-2244. Write: Reynolds Kitchens, PO Box 85583, Richmond, VA 23285-5583. For easy, delicious recipes visit reynoldskitchens.com. 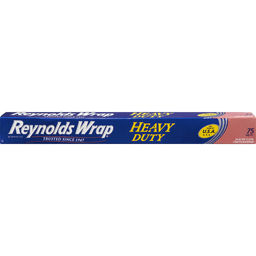 For sticky situations, try Reynolds Wrap non-stick Aluminum Foil. Reyn water printing inks. Foil label on certified 100% recycled paperboard. 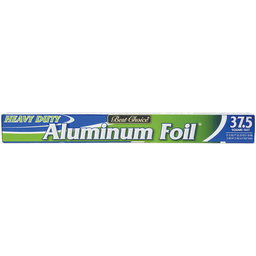 Foil made in USA. 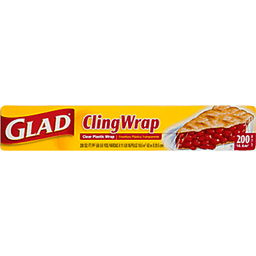 Glad Food Wrap, Clear, Cling Wrap, 200 Sq. Ft.
66-2/3 yds x 12 in. Tight seal for long-lasting freshness. BPA-free. Glad makes products that help keep food fresh longer. We've been doing it for over 50 years, and our products keep getting better. 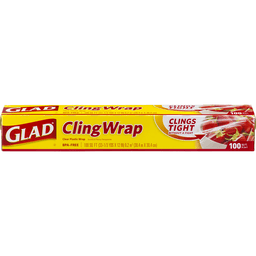 Glad's best-ever Cling Wrap is easy to use and dispense. So whether you're portioning food, preparing food, steaming food or protecting food - count on Glad. You'll be Glad you did. Wrap in freshness. So many uses - portioning; preparing; steaming; protecting. Learn more! Scan this code with your mobile device or text CLING to 48744. Standard message and data rates apply. Visit www.glad.com. Microwave-safe. Questions or Comments? Visit our website or give us a call. www.glad.com. Made in USA. 12 in x 16 in (30.48 x 40.64 cm). Non-stick. Easy clean-up. Oven safe. 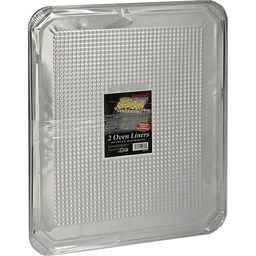 Fits standard baking pans. Pillsbury Bake-Off: Proud partner. Box Tops for Education official brand. 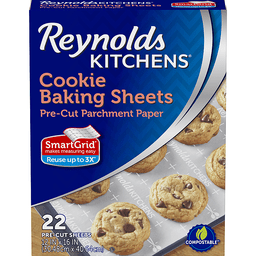 Perfect Cookies: Line you cookie sheets with parchment paper so your cookies bake more evenly and slide off without breaking. No need for additional oils or cooking spray. Simple Storage: Roll your leftover cookie dough in parchment paper. When you get a cookie craving, simply take it out, cut off what you want and put back in the fridge. Lift and Cool: Line baking dish with a sheet of parchment paper. Pour in batter, bake and easily lift the sheet to cool and serve. Baking dish stays clean. Prep and Bake: Save time when you're making multiple batches. Prep the second batch on a sheet of parchment, and when the first batch comes out, just slide the sheet of parchment with the baked cookies onto a cooling rack. Then bake the next prepped batch! Great for all your baking needs, from cookies and cakes to chicken and vegetables. For more tips visit ReynoldsKitchens.com. Each sheet can be used for multiple batches. 100% recycled paperboard. Box Tops for Education. To contact us: Visit: ReynoldsKitchens.com. Call: 1-800-433-2244. Write: PO Box 85583 Richmond, VA 23285-5583. Unconditional Guarantee: Our unconditional guarantee offers complete satisfaction or your money refunded. Paper made in France. Packaged in the USA. 13 in x 21 in (330 mm x 533 mm). Fits 3 to 8 quarts. Fast & easy clean up. BPA free. Made from heat resistant nylon. Explore ReynoldsKitchens.com for delicious recipes and cooking tips. Recipe inside! 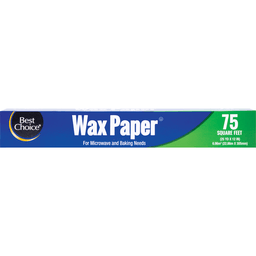 Certified 100% recycled paperboard. how2recycle.info. To contact us: Visit: ReynoldsKitchens.com. Call: 1-800-433-2244. Write: PO Box 85583, Richmond, VA 23285-5583. Unconditional Guarantee: Our unconditional guarantee offers complete satisfaction or your money refunded. Box Tops for Education. Product made in the USA. 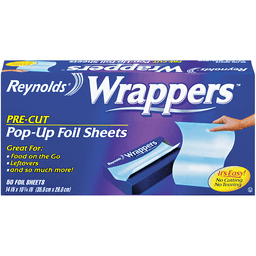 Reynolds® Wrappers™ Pre-Cut Pop-Up Foil Sheets. Great for: Food on the go. Leftovers. And so much more! 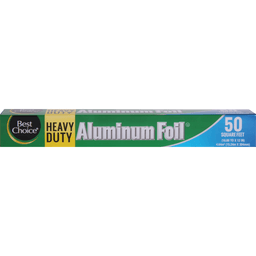 50 foil sheets. 14 in x 10 1/4 in (35.5 cm x 26.0 cm). It's easy! No cutting. No tearing. Unconditional guarantee: Reynolds guarantees complete satisfaction or your purchase price refunded. 100% recycled paperboard. 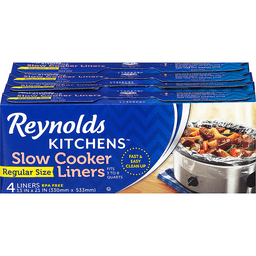 For usage tips and recipe ideas visit: reynoldskitchens.com or call 1-800-433-2244. ©2010 Reynolds Consumer Products Company. Pan Size: 17-3/4 in 15-1/4 in x 1/4 in (45.1 cm x 38.7 cm x 0.6 cm). www.handi-foil.com. For more info on recycling visit www.Eco-Foil.com. Rinse & recycle. 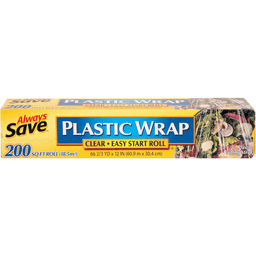 Made of 100% recycled aluminum Eco-Foil. Made in USA.